From Memorial Day through Labor Day we offer these activities* every weekend. Full activity schedules are available upon check in. Wednesdays too!! In July and August we have many of our usual Saturday activities on WEDNESDAYs too! Officially kick off the Camping Season and join us for a potluck dinner Saturday night. 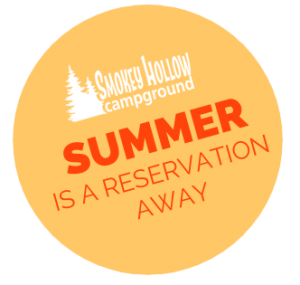 Spring Special $250 to camp April 12 – May 19. * 3-night minimum required for holidays. Make sure to pick up a detailed schedule upon arrival as events are subject to change without notice. Salsa making contest. Cinco de Mayo activities. Decorate a Kentucky Derby hat or sombrero. Make a hobby horse to race in campground derby. Make a handprint flower painting and decorate coffee cup for MOM. Join us for Wine Tasting & Paint Night to try wine ICEEs and then relax with a massage. 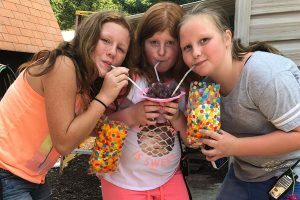 A weekend STUFFED with food-filled fun — egg toss, baby food guessing game, hot dog eating contest, tasty MRE military food, build a marshmallow figurine. Beach party! Bags tournament. See Fire/EMS trucks up close, Put Out the Fire scavenger hunt. All active duty military personnel receive HALF OFF family wristbands. Indulge in chocolate-themed fun. Pudding wrestling, chocolate fountain, drawing with chocolate syrup, dirt cups, Hershey Kiss scavenger hunt, chocolate-scented play-dough, mudslides for adults! * Holiday rates apply; 3 night minimum. Create your own tricky golf hole for campground mini-golf challenge. 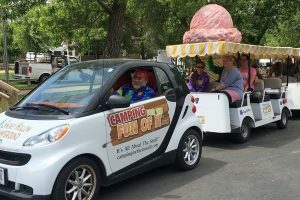 Decorate donut holes, golf cart show, golf guessing games, prizes, ladder golf competition. Water Wars, water balloon toss, mini-golf competition, decorate a coffee mug (and other crafts) for DAD. Beer tasting. Sack races, 3-legged races, frozen t-shirts, relay race, belly flop contest, Tough-Mudder skill course. On the beach: wheelbarrow race, teaspoon race, banana bike race and more! Decorate pillow cases, make popcorn treat bags for movie night, pajama dance at the pavilion. 4TH OF JULY CELEBRATION I! Beach Party, Tie Dye/Patriotic Crafts, Penny Hunt, Site Decorating Contest, hot dog eating contest, face painting, Blinky Parade! Decorate a Christmas tree and ornaments, site decorating contest, Santa, decorate cookies, gift wrapping contest. 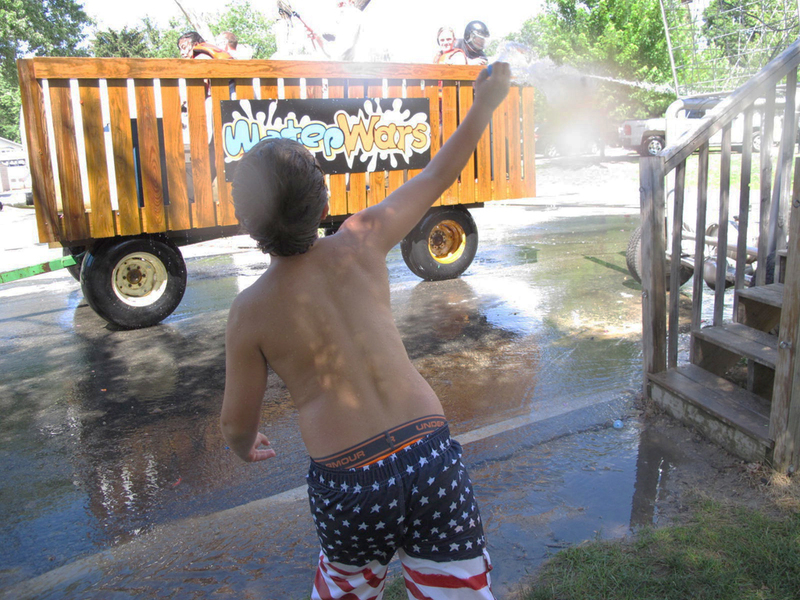 Battle your campsite neighbors with water balloons, super soakers and take on the Water Wars Wagon as it rolls through the park. Cardboard boat races, treasure hunt, Disney movie at Little Theater. Costume contest for your favorite Disney or Marvel character. Horse-drawn pumpkin coach and/or farm wagon. DJ at the beach, sand castle contest, make a lei, sand art, build your own tiki log, make a lava lamp, tropical drink specials. Limbo contest. 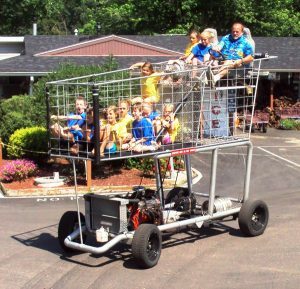 Experience a Smokey Hollow Carnival in the craft center. Giant Jenga, cotton candy, popcorn, and snow cones. Celebrate the Dairy State with milk chugging contest, cow mask decorating, wine and cheese tasting, milk carton flower pots. And for dinner? Mac & Cheese, of course! Kick off the football season with a Bags Tournament, beer tasting, football throwing contest and the UW Marching Band. Show your team spirit by wearing your favorite team’s jersey. Bags Tournament with both adult and kids divisions. Adult beverage bingo, chicken booyah, beach party, scavenger hunt and lemonade stand specials. Local artisans and crafters display their wares. Apple bobbing, costume contest, magic pumpkin patch, caramel apples. CAMPER APPRECIATION / BUD’S BDAY! Reservations begin January 1 so you’ll want to book early to lock in the weekend you and your family desires. Tap the keg, craft beer, brat and beer specials. Be sure to dress German! Water shut-off, leaf clean up, store sales!